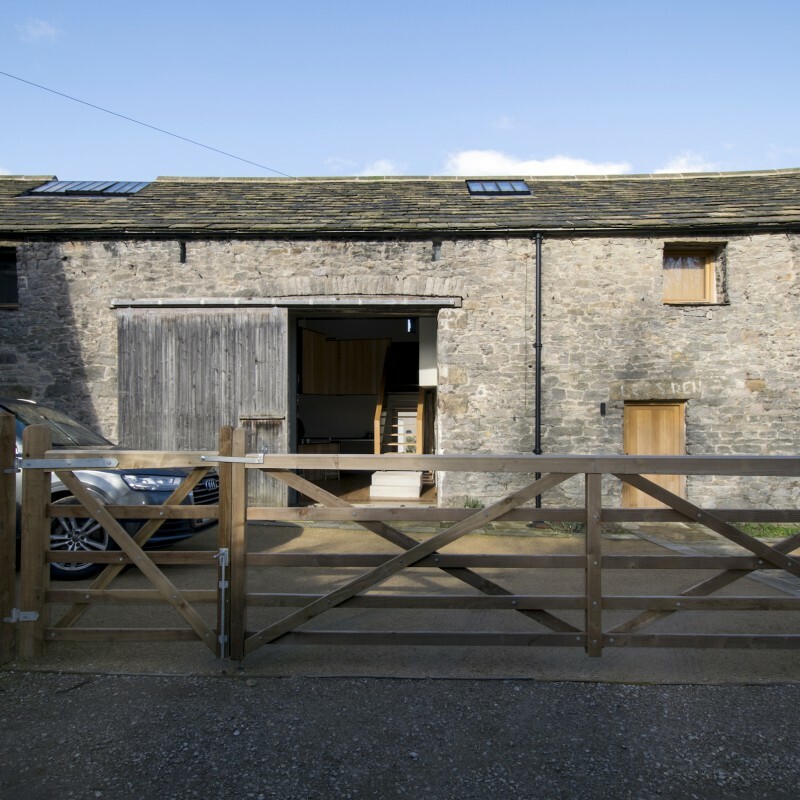 The award-winning scheme seeks to convert and rationalise a group of farm buildings into a single residential house; celebrating the existing qualities of the barns, whilst making bold contemporary insertions. The project juxtaposes small, warm intimate spaces with the larger triple height volume of the original barn. Limitations on new window openings are overcome by clever internal planning and sensitive detailing. The project juxtaposes small, warm intimate spaces with the larger triple height volume of the original barn. Within the main barn, new elements such as the kitchen and first floor sound room read as insertions within the larger space. At first floor, the former hayloft platform is used to house three new bedrooms and a bathroom. The spaces under the hayloft provide a mixture of service rooms and a single en suite ground floor bedroom, essential to creating a home that is suitable for multi-generational living. This approach keeps service elements to one end of the building and preserves the proportion and subdivided nature of the former stable area, thus enabling the single volume of the main barn to be read. The material quality of the project takes inspiration from the agricultural nature of the barn. Steel is left exposed and timber left rough sawn. Rough stone walls are left exposed and juxtaposed against oversized smooth concrete elements. Glazing is left minimal and where possible recessed deep within the walls retaining the feel of the original walls.